1.An article by Maryellen Weimar, Ph.D., titled “What Happens in a Course is a Shared Responsibility” discusses concerns that student evaluations often give students the impression that it’s the teacher who makes or breaks the course. While the teacher has a responsibility to provide a constructive learning environment, the students must decide to contribute to the learning environment as well. The article provides suggestions for creating a valuable student evaluation that looks, not just at the teacher’s role, but also the students. 2. The Alliance for Massage Therapy Education has made available, as a pdf, the Core Competencies for Massage Therapy Teachers. 3. Angela Lee Duckworth, a teacher turned psychologist, reveals what factor determines whether a student will succeed or fail in a youtube video TED talk: Why some students fail and other students succeed. The key: Grit. 4. NCBTMB announces a change in energy work acceptance, introduces new instructor qualifications. June 19, 2017. To understand the changes, you can access the full statement on the NCBTMB website. 1.What is “Transfer of Learning” and “How does it help students?” Youtube video. Description: Schools tend to measure student learning with grades and report cards, but how can educators be sure what they teach will stick with students once they leave the classroom? In this video explainer, Larry Ferlazzo, from the Education Week Teacher blog Classroom Q&A With Larry Ferlazzo, shares five ways educators can facilitate Transfer of Learning to help students make connections across subject areas and in the world beyond the schoolhouse walls. 2. Kathy Paholsky, in her course “Assessing Skills & Abilities Through Oral & Practical Exams”, offered through the AMTA, addresses “How massage therapy instructors can better align student assessments with the knowledge, skills and abilities they’re expected to absorb in the classroom.” The course is available as a pdf to be downloaded and provides wonderful suggestions and resources. The article includes a number of online exercises and demonstrations to enhance understanding. 4. Educational Technology and Mobile Learning provides a handy chart featuring over 30 iPad apps for students with special needs. The chart was created in 2016, so some may no longer be accurate, but it is a helpful resource. 5. Trying to create presentations on an iPad? There is an app called Engage. You can see a brief introduction. Here is some of the information I recently shared in my March newsletter. Each newsletter has a specific focus. This month is focused on pedagogy, adult learning and teaching information. If you would be interested in receiving m y newsletters, please head over to my contact page and sign up. 1. Classtool.net offers a variety of games, puzzles, and tools to make classes fun, interesting and effective. The post includes a helpful graphic on the elements of thought and how to use them. 4. 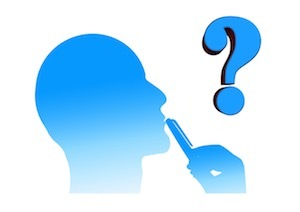 “Three tools for teaching critical thinking and problem-solving skills” by Katrina Schwatz discusses the idea of integrative thinking—a term to describe looking for solutions through the tensions inherent in different viewpoints. One of the tools is called the Ladder of Inference, a model developed by professors Chrisy Argyris and Donald Schön of Harvard. A second tool is called the Pro/Pro chart and the third tool is Provoking Self Reflection. 1. The Creativity Post published an article by Noa Kageyama, titled 19 Things That Great Music Teachers Do. While the article references a study done by Robert Duke and Amy Simmons with artistic teachers, the information is applicable to anyone teaching. After observing 3 different teachers of three different instruments, and comparing their techniques and successes, the researchers identified 19 key elements that were common to each teacher. 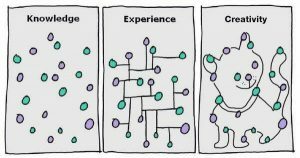 The elements fall into three broad areas: Goals and expectations, Effecting Change, and Conveying information. 2. The article “Everyone, or Nearly Everyone, Has the Wrong Idea About Vocational Education” by Ken Gordon, points out that “some see vocational education as something apart from their idea of education. Why? Ted Dinersmith and Tony Wagner, in their book Most Likely to Succeed, point to a reason: Vocational education, in the eyes of many middle- and upper-class parents, is one step removed from juvenile delinquency.” The article looks at the impact of this attitude and what vocational education can be. 4. TED-Ed Innovating Educators and TED-Ed community rated teaching support apps and recommended the following 25 apps. Abstract from actual assignments may fail to show what is expected of them in real terms. Use past student work, with names redacted, that should various levels of success. Give out samples without the grades and have each group discuss them, their strengths and weaknesses, and give each one a grade. Then, reveal what grade each sample actually got and explain why, in detail. 2. An interesting proposal was written and published by Rick Rosen, titled Continuing Education in the Massage Therapy Field: Proposal for an alternative to state and national regulation in 2013, attempts to address the issue of the regulation of coining education in massage therapy and the challenge of inconsistencies and oversight. 3. Simon Oxenham posted a link to the video by Daniel Willingham “Believe it or not, ‘learning styles’ don’t exist” on Big Think. Great teachers never forget that it is people, not programs, that determine the quality of a school. Great teachers establish clear expectations at the start of the year (or program) and follow them consistently as the year progresses. When a student misbehaves, great teachers have one goal: to keep that behavior from happening again. Great teachers have high expectations for students, but even higher exportations for themselves. Great teachers know who is the variable in the classroom: THEY are. Great teachers create a positive atmosphere in their classrooms and schools. Great teachers consistently filter out the negatives that don’t matter and share a positive attitude. Great teachers work hard to keep their relationships in good repair—to avoid personal hurt and to repair any possible damage. Great teachers have the ability to ignore trivial disturbances and the ability to respond to inappropriate behavior without escalating the situation. Great teachers have a plan and purpose for everything they do. Great teachers treat everyone as if they were good. Great teachers care about their students, and understand the power of emotion to jump-start change. 5. On the blog, Inside Higher Ed, John Warner shared his response (The Most Important Work of Pedagogy I’ve Read in Ten Years) about a book for teachers, For White Folks Who Teach in the Hood…and the Rest of Y’all Too by Christopher Edin. While Warner is white, does not teach in the hood and actually teaches at the college level, he found wonderful insight into ways of making his classes more interactive and relevant. If you are looking for suggestions, this book can help. 7. Free webinars on educational topics are offered quarterly through Sohnen-Moe Associates in conjunction with The Benjamin Institute. The November session, Research – Evidence- Informed Practice in the Classroom, with Merrilyn Cambron will be offered Nov 16th at 2 pm eastern. These webinars are 1.5 hours and include a question and answer period. If you are interested in participating, you can register now. 8. Teachthought published an explanation of Competency-based learning and included a helpful infographic from Rasmussen College. 10. Roger Greenaway provides a monthly free newsletter with facilitation tips: Active Review Tips. “Re-charge your facilitation skills with practical tips and tools for active and effective debriefing” You can subscribe on his website. 11. A great free resource, The Science of Learning, can be downloaded at Deans for Impact website. 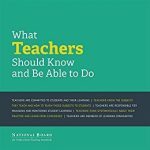 It is a good resource for new teachers as well as established teachers looking to be more effective. 12. Paul Bruno summarizes learning basics in his article How People Learn: An Evidence-Based Approach. This includes 6 scientific principles he feels it is important for every teacher to know. The principles are summarized below. For more explanation, you can read the full article at Edutopia. Students learn new ideas by relating them to what they already know, and then transferring them into their long-term memory. Students remember information better when they are given many opportunities to practice retrieving it from their long-term memories and think about its meaning. Problem-solving and critical-thinking skills are developed through feedback and depend heavily upon background knowledge. For students to transfer their abilities to new situations, they need to deeply understand both the problem’s structure and context. Student motivation depends on a variety of social and psychological factors. Misconceptions about learning, while prevalent in education, shouldn’t determine how curricula are designed or how instruction is provided.